Conferences are primarily used for virtual lectures, virtual office hours, and student groups. They can also be used to demonstrate technologies or troubleshoot technology issues online. Conferences can accommodate as many users as needed, though the recommended guideline is a limit of 100 users. Currently, Canvas integrates with BigBlueButton. Conferences makes it easy to conduct synchronous (real-time) lectures for all users in a course. Conferences allows users to broadcast real-time audio and video, demo applications, share presentation slides, or demo online resources. When would I use Conferences as an instructor? Connect with your students for online office hours or study sessions designed to help them prepare for a test. Practice presenting online. Students can set up practice presentations in their student Groups. Invite special guests to your classroom by adding them as a student or observer to your course. Broadcast a live event or lecture to the students that can't be onsite. Record your conferences so students can view them at a later date. Note: Recordings are automatically deleted 14 days after the conference ends. 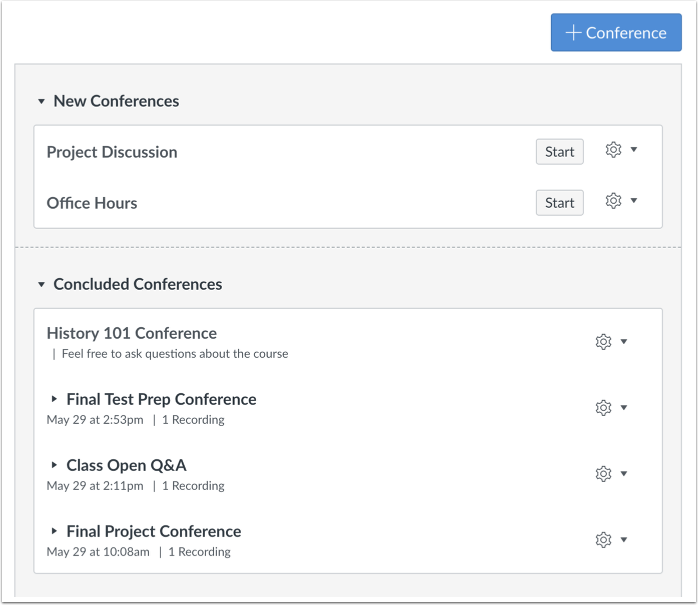 Students can create conferences to talk about course assignments, host study groups, and collaborate on projects. When would I use Conferences as a student? 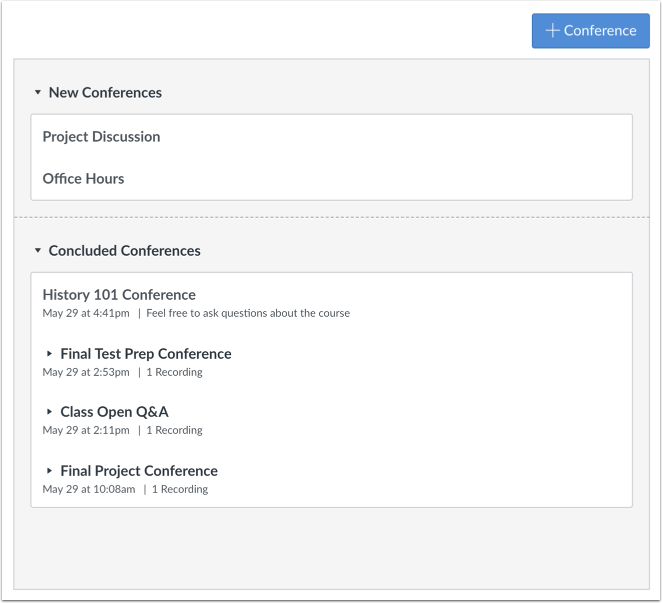 Table of Contents > Canvas Features > What are Conferences? Re: online interactive lessons by me for my students?